Creative World Awards (CWA) discovers and advances talented screenwriters, helping them garner the exposure and recognition they need to propel their projects forward. At CWA, finalists get first looks from some of the most sought after companies in the industry such as Lionsgate/Mandate International, Inferno Entertainment, Morgan Creek and more. PRODUCTION AWARD: The Grand Prize Winner also receives the opportunity to have a short adaptation of their winning feature script produced by CWA in conjunction with The Moving Image Xchange. The film gets a guaranteed premiere at the Richmond International Film Festival. CWA winning screenplays are circulated to top agencies, film studios, managers, producers, and international financers looking for their next project or writer. Additionally, CWA works with the prominent companies; all of which get first looks at our top winners. The Grand Prize Winner also receives the opportunity to have a short adaptation of their winning feature script produced by CWA in conjunction with The Moving Image Xchange. The film gets a guaranteed premiere at the Richmond International Film Festival. More than $30,000 in cash & prizes, including a possible production opportunity to help the writer extend their industry credits. 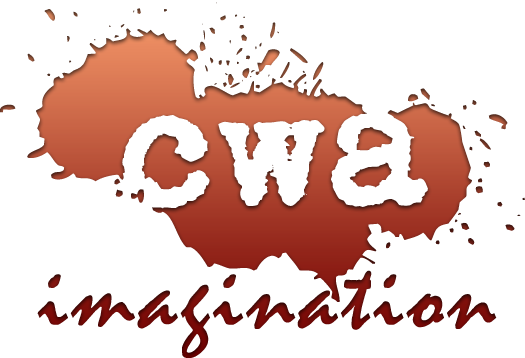 The CWA contest is open to any screenwriter worldwide who meets the enclosed criteria. Entry into the competition is void where prohibited by law. Resubmissions: Once a script has been submitted, no revised drafts or corrected pages will be accepted to the original unless you pay a separate resubmission fee of $45 through the CWA site or FilmFreeway. If through CWA, you must notify us via email to discard the original entry, and we will treat your revised draft as a new eligible submission. Email us at info@creativeworldawards.com for instructions. Following the close of the season, the Grand Prize Winner will be given a choice to either receive $1,000 additional cash prize money, or elect to use that $1,000 as payment in full for writing a short version of their winning feature script (the short script will be ten pages or less). If Creative World Awards (CWA) produces the short script, it will be used by CWA as a tool to help promote the Grand Prize Winner’s feature script, and also give the writer imdb credit once it premieres at the Richmond International Film Festival. The Grand Prize Winner agrees that if they elect to forgo the additional $1,000 cash and instead choose to use that money as payment in full for their writing contribution on the short film production, that The Moving Image Xchange LLC and CWA will have full ownership of the produced film, however, the writer will still retain full ownership of their feature script. The short production will have no impact on the ownership of the writer’s feature length script; the writer will maintain complete ownership. The Grand Prize Winner also understands that should they elect to use the additional $1,000 for payment in full for writing the short version of the script rather than as cash, that they are responsible for working with the CWA Co-Founders in a timely manner to create the content of the short script. The Moving Image Xchange and CWA may elect not to produce the script if the writer does not meet the deadlines in a timely fashion. CWA Co-Founders will work with the writer to develop the short script in the months of September and October, with a tentative shoot date set for December each year. The film will then premiere at the Richmond International Film Festival in February, and be used by CWA for promotional purposes to garner interest in the writer's feature script as well as on the contest’s behalf. Producing the short script is at the sole discretion of CWA and The Moving Image Xchange, LLC. Should CWA and The Moving Image Xchange elect not to produce a short version of the Grand Prize Winner’s feature script, the Grand Prize Winner will still receive the additional $1,000. If the Grand Prize Winner consists of more than one writer, it is up to the writers to split the additional $1,000 between them. Creative World Awards LLC Materials submitted to Creative World Awards LLC at this or any future time are accepted by Creative World Awards LLC only on your acceptance of the following conditions: 1. Applicant (s) testify to be at least 18 years or older and warrant as the author of submitted material that they are the sole and exclusive owner(s) of all legal and equitable rights thereto with the full and exclusive rights to submit material to the competition. 2. Applicant (s) has retained at least one copy of the submitted material as Creative World Awards LLC will not be responsible for any loss or destruction of the materials submitted to it. Applicant understands that it is their sole responsibility to copyright and protect their own submitted material. 3. All entrants understand and agree that there are a diverse amount of story contexts, plots, themes and formats and in no way is Creative World Awards LLC, its officers, employees, representatives, sponsors, judges and affiliates responsible not now or in the future of borrowing or stealing from an idea, copy written concept, or storyline from a submitted entry. 4. Creative World Awards LLC exists for the purpose of a competition. Through various phases of the judging process, submitted material will be exposed to a network of influential third parties, included, but not limited to those companies and individuals listed on the Creative World Awards LLC website. All such third party participations in the judging process are not guaranteed. Creative World Awards LLC will provide, though not obligated, applicant's contact information to interested parties. However, Creative World Awards LLC does not attest to or guarantee the validity of any subsequent agreements between applicant (s) and said parties. 5. Applicant (s) indemnify and hold harmless Creative World Awards LLC, its judges, sponsors and partners, individually and collectively, from and against all claims, demands, losses, damages, costs, liabilities and expenses (including legal fees) arising out of or in connection with any and all claims, or third party claims based on stories submitted to Creative World Awards LLC. 6. All Creative World Awards LLC entrants will permit Creative World Awards LLC to use their name and/or likeness, title of the work submitted, its logline and their results in pre & post-competition advertising for publicity & promotional purposes. Applicants hereby agree that their submitted contact information may be released to interested parties hereunder. 7. Providing false or misleading information on this application, or failing in any other way to comply with the rules of the competition, is subject to disqualification, forfeiture of prize money and/or other penalties. 8. Creative World Awards LLC reserves the right to remove submitted material from the competition, with or without cause. Applicant (s) will be notified by Creative World Awards LLC. If without cause, the entry fee alone will be reimbursed and the submitted material destroyed. 9. All decisions by the judges are final and cannot be contested. 10. By signing this form I/we have read, understand and agree to, and will abide by all the terms and conditions of submission of materials to this competition, which are listed in this release form and in the following guidelines and rules. 11. Dispute Resolution; Governing Law; Forum: That contestants expressly acknowledges and agrees that Creative World Awards shall be entitled to injunctive or other equitable relief (an "Injunction") to restrain, prevent or enjoin any breach by a contestant under this screenwriting contest, and the contestant hereby waives any right to notice of any action or proceeding for an Injunction and consents to and accepts entry of an Injunction in any court which may have jurisdiction in connection therewith. The prevailing party in any legal proceeding brought pursuant hereto shall be entitled to recover all of its attorneys' fees and all other costs related to such a legal proceeding. Unless otherwise stated herein, this Agreement shall be governed by and interpreted in accordance with the laws of the State of California (without regard to the conflicts of law provisions thereof), and the contestant hereby submits to the jurisdiction of the state and federal courts located in Los Angeles County, California.